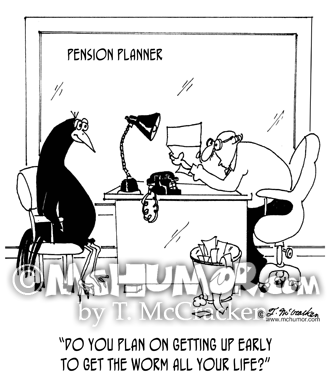 Bird Cartoon 7147: A pension planner saying to a huge bird, "Do you plan on getting up early to get the worm ALL your life?" 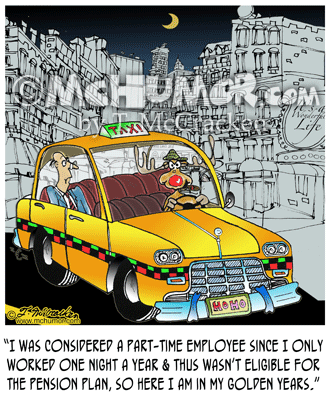 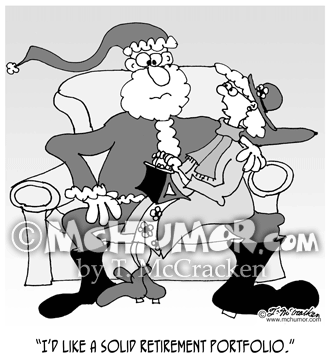 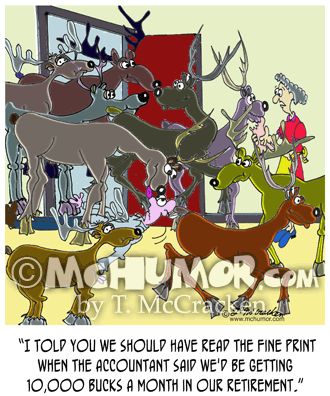 Christmas Cartoon 7718: Rudolph the Red nosed Reindeer driving a taxi explaining, "I was considered a part-time employee since I only worked one night a year and thus wasn't eligible for the pension plan, so here I am in my golden years." 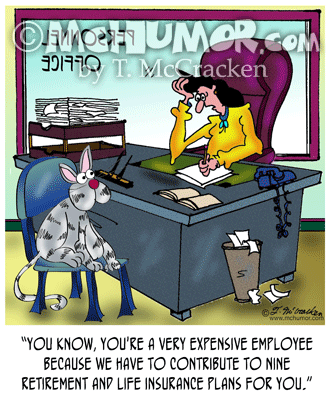 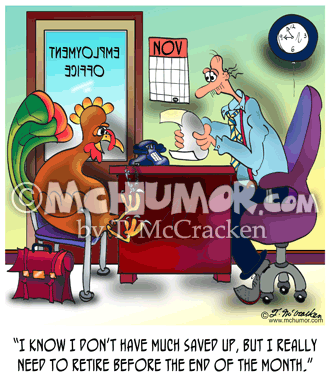 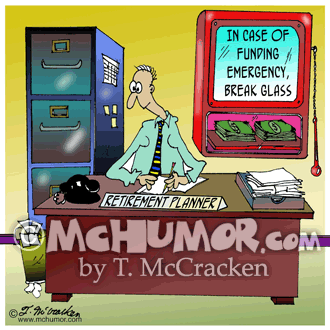 Retirement Cartoon 7076: In a retirement planner's office, behind glass that says "In Case of Funding Emergency, Break Glass," is a huge wad of money. 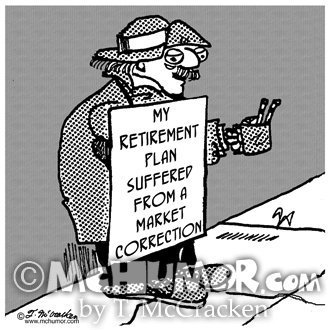 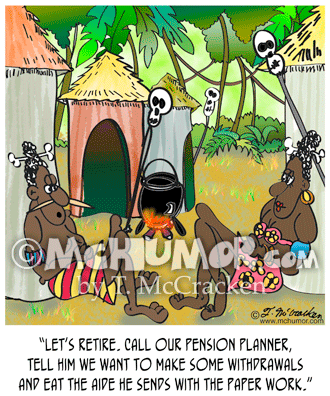 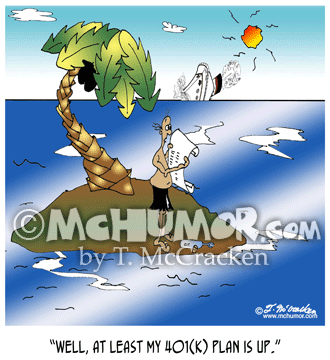 Accounting Cartoon 8269: Someone stranded on a desert island reading a message in a bottle says, "Well, at least my 401(k) plan is up."